Done right, alfresco dining spaces could be the pinnacle of your home, creating a space for family bonding and fun neighbourhood parties. So … how exactly can you get it right? The most common option is to make it an extension of the house itself. So, you can pave the ground with the same materials as the adjacent indoor floor. Your choice depends on the kind of ambience you’re trying to create. Wood panels – whether they’re solid wood or engineered floors – give your space a cosy, rustic feel. Timber flooring needs extra care though, especially outdoors. So if you’re opting for wood, you may have to roof the outdoor section of your alfresco. Retractable roofs are ideal because they retain that airy feel and let in natural light. They can be mechanical for easy opening and closing. Alternatively, you could roof the area with galvanised sheets or PVC roofing panels. Both are weatherproof, and they can be treated to resist UV. To keep the alfresco from getting too dark, you could slip some skylights into the roof. As for walls, erecting them would kill your alfresco effect, so if you feel too exposed, consider getting mini-view roller shutters. The gaps between the slats keep the area well ventilated, letting in lots of natural light. You can pull the shutters down at night, or when you want privacy, leaving them open during the day. Alfresco dining is extra exciting when the cooking happens outdoors as well. 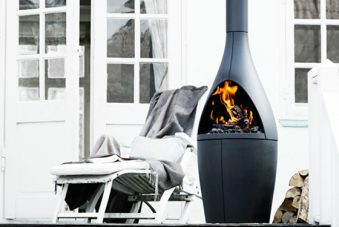 Here at Hawkesbury Heating, we have a vast selection of outdoor heaters, both with and without cooktops. 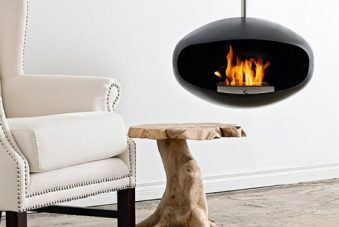 You could, for example, try our Regency Plateau Fire Tables. They’re a series of coffee/cocktail tables with gas flames right in the middle of the table-top. You can’t cook on them, but they make a dramatic setting for dinner beneath the stars. 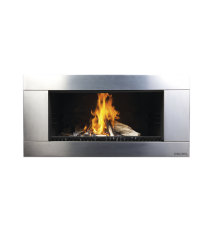 The fire tables have optional glass casings to protect the flames from the breeze. Still, for the true alfresco kitchen, you want something you can cook on, like our Morso Grill Forno. It’s has a gorgeous space-pod shape, like a cocoon on tripod stilts, so its aesthetic is unmatched. The Morso grill uses wood fuel. The body is enamel-coated cast iron, and the grilling surface has pores for enhanced flavour. The three legs are made of teak and circled with a metal ring that doubles as a support for a grill door or grilling tools. If your cooking routine is a little less ambitious, consider our Zesti wood-fired heater and pizza oven. The stainless steel finish on the Z100 gives it a stylish contemporary feel, and all you need is store-bought pizza base and your choice of toppings. If you buy a Zesti Z100, you’ll probably want to accompany it with modern trappings, so opt for a natural stone flooring (white marble or silvery limestone are perfect) and seats with a metallic finish or grey tones. We recommend our aluminium Melton Draft Venus in gunmetal grey, plumped with charcoal-coloured cushions, and topped with teak trim. Or if you’d like something more rugged, consider our Melton Craft Nassau Bar set. The frames are cast aluminium blended with antique bronze and natural cushions. To find the right heating options for your alfresco dining area, call Hawkesbury Heating today on (02) 4571 2295.